Michael has been a lawyer since 1978. He established his law office in Los Lunas, NM in 1982. The Law Office of Michael S. Sanchez is well respected throughout New Mexico. Because of the integrity that is synonymous with the name, people choose this office when they want sincere, honest, and caring attorneys that will do the best for their client. After thirty-five years of practicing law, Michael has developed a reputation as a fair attorney who will fight for his client. 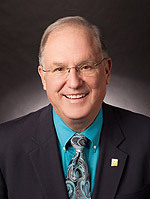 Michael is also a New Mexico State Senator and has been the Majority Leader of the State Senate since 2005 and a member of the New Mexico State Senate since 1993.